Now Google wants to transform the video games industry and on this week`s Tech Tent we explore whether its new service Stadia really does mean the death of the console. The pitch as delivered at the Games Developers Conference in San Francisco on Monday seemed simple but compelling. Google was offering a streaming gaming service which would give you access to all kinds of hot titles on any kind of screen with all the heavy lifting being done in the cloud. Bye bye console, hello a kind of Netflix for games. But before we consign all those Xboxs, PlayStations and Nintendo Switches to the dustbin of history, there are a few questions to be answered. Will most gamers` broadband connections be fast enough to make a streaming service an attractive proposition? Will developers all come on board? And is Google the right company to trust with the future of the games industry? Keza MacDonald, games editor at the Guardian, has her doubts. She makes the point that while Netflix viewers will tolerate occasional buffering of TV programmes, gamers will find that intolerable: "What makes the game nice to play is the instant responsiveness. So even the tiniest little bit of lag or delay, or stuttering or anything like that will ruin it." 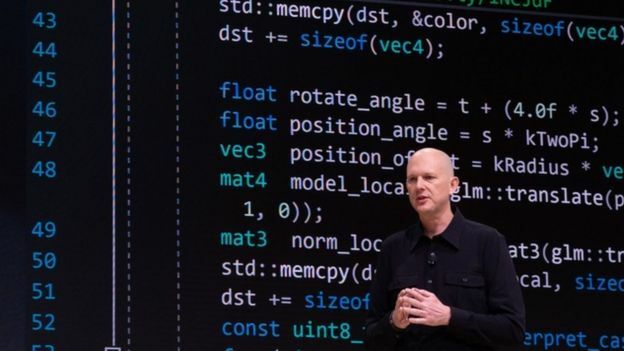 Phil Harrison, the Google executive in charge of Stadia, says the service will use "some very clever compression algorithms inside our data-centres to make sure we deliver the highest quality experience to you at the best possible bandwidth." While the menu of games outlined at the launch looked thin, he promised that big titles from major publishers would be coming to the platform in the coming months. But Google can`t expect the established players to sit back and watch as it steals their lunch. Microsoft is preparing its own streaming service, and neither the Xbox nor Sony`s PlayStation are going to fade away any time soon. Google certainly has both the funds and the technology to make a success of a cloud gaming service. But there are questions about its track record when it comes to products that people have to pay for. Its Pixel phones have won good reviews but modest sales, Google Glass was an expensive flop and can anyone remember what happened to the Google TV service? Keza MacDonald also questions how comfortable gamers will be with a firm whose business has been built on collecting personal data to sell advertising: "The idea of a Netflix-style subscription service that`s also essentially mining my data and selling it, is not awesome." Then there is the question of Stadia`s link with YouTube, where Google has struggled to combat abuse and hateful behaviour. The platform will be both a powerful marketing channel for the streaming service and a source of reputational risk if young players face bullying. There will be a need for substantial investment in moderators to ensure a safe environment. Despite all these problems, Keza MacDonald believes a streaming service is an idea whose time has come: "If anyone can make it happen, surely it`s Google." INSANE Eye Contact: The Simple Eye Contact Trick that will Blow People`s Minds!